Career moves (even positive ones) can be disruptive for the individual, and the psychological impact of changing roles or careers is often underestimated. Career transition coaching is a relatively new field, but one that is highly relevant in the modern world. 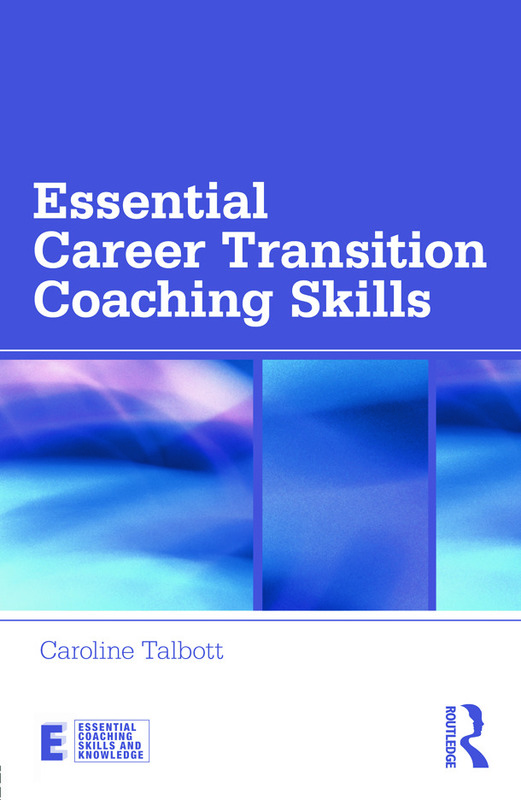 In Essential Career Transition Coaching Skills, Caroline Talbott explores the most effective career transition coaching techniques and explains the psychology behind them. Looking at both self-motivated and enforced career changes, the book pays particular attention to the psychological processes experienced by the client, so that the coach can understand and anticipate their reactions and help them make the most successful career moves. It covers general skills, tools and techniques that can be applied to any career transition as well as more specific examples such as moving from management into leadership, aspiring business owners and career changers. Case studies illustrating the methods of experienced coaches and step-by-step guides to coaching techniques are also included. Ideal for those already experienced in general coaching and looking to specialise, as well as anyone whose job requires coaching skills, such as managers and HR professionals, this timely book provides a comprehensive guide to the whole transition cycle – from choosing a career direction or change, to making a move and adapting successfully.